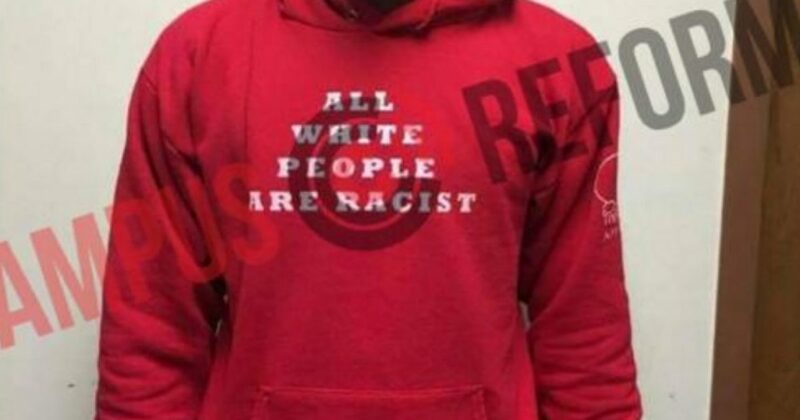 Ironically, college students at the University of Wisconsin-Madison are selling racist sweatshirts to protest racism. … One of the sweatshirt says “If I Encounter Another Cop With A God Complex I’m Going To Have To Show The World That They Are Human”, seemingly promoting violence towards police. Hate only breeds more hate. This is another sad example of a race hustler making money off the hardship and frustration of low income and minority communities. Rather than uniting Americans and empowering their fellow citizens, these students are dividing neighbors and promoting rage. The students making these sweatshirts should be ashamed of themselves.